Without a clear and comprehensive view over its data, no company can remain compliant and relevant. Data influences everything. We live in the information age, and with every passing year our environment becomes more and more heavily defined by data - the data produced by household objects and internet browsing, by cars and emails and hospitals and thermostats. Every sector from government and healthcare to finance and retail is seeing the benefit of advanced big data analytics, as the insights pulled out from the data flood begin to guide business strategy, customer service and even national policy. This is the era of Data 3.0. Data has moved from the server room to the boardroom. All organisations must now consider how they can access, sort, analyse and exploit their data if they are to keep ahead of the curve. Decision-making should be increasingly based on analytics, as companies use their data assets to fine-tune their plans and projects, and relate more personally to customers and prospects. Ultimately, the more you know, the better your chances of making well-informed, effective business decisions. Netflix is a good example of this. Traditionally, studio executives have relied on their instincts to identify shows that they think will perform well. Netflix, on the other hand, took a very different data-driven approach when looking to commission a new drama series. The entertainment company used customer data to inform its show selection, beginning by identifying the audience segment it wanted to target. Once this group was defined, it looked at audience data to determine the group’s viewing preferences - for example, which actors they liked, the average length of show they watched, and so on. They then applied this data to produce the end product. Using this approach, Netflix delivered House of Cards, a show that became a huge hit as a result of this innovative data-first approach. This kind of data practice is impressive, effective and not widely common. It helps to illustrate that in a competitive business environment, a company’s ability to find, access and manage as much of its data as possible is critical. Many enterprises today are awash with data, but it often becomes stranded in separate systems and silos, both on and off-premise, in a variety of forms. For example, the sales department may generate data in a dedicated platform like Salesforce, while marketing files its information in Marketo and the company website tracks customer interactions in a different proprietary system. As a result of this separation, most companies are still stuck grappling with their data, trying to get it under control and into useful order - how can you analyse your data if you don’t even know where to look for it? Never before have businesses experienced the kind of data fragmentation that exists today. This state of affairs is exacerbated by the fact that IT is no longer the gatekeeper of data in many businesses. Where ten years ago IT teams had ultimate oversight of all data-generating systems, organisations are now putting their data in the hands of employees to accelerate adoption. The business intelligence market is experiencing heavy disruption as a result, with the dispersion of data causing major problems for security and control of data as new variables are introduced. In fact, the more systems, silos and data handlers that are introduced into the mix, the more likely a company is to encounter inaccuracies and security risks. Despite many new users having access to data, IT teams still need to be assured that their data is secure and can stand up against any changing regulatory demands. This is an issue of particular concern as we enter the one-and-a-half-year countdown leading up to GDPR implementation. Getting customer data under control is now a major business imperative, not just a differentiator when it comes to improving customer experience. 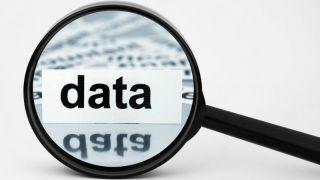 Getting a handle on data 3.0 relies heavily on a cohesive data management strategy. This begins with connecting your data, which means identifying and locating all the applications across the business that contain critical customer data, and then standardising and validating that data as part of the ‘cleaning’ process. Cleaning also includes weeding out any inaccuracies, resolving conflicts, confirming personal details such as email addresses and post codes and fixing incomplete fields. In short, cleaning is the process of transforming data from a useless mush into a streamlined, accurate picture which can then be subjected to analysis. Once this process has been completed, any duplicates have been removed and identifying dates have been consolidated, companies will be in a position to create a series of single, trusted customer profiles. These will form the foundation for the company’s data management strategies. Businesses can then start adding third party data, such as the users’ occupation, interests and social channel information. They can also connect varying forms data – linking the customer profile to other household members, for example, including browsing history, previous product purchases and even the employees they work with. Consolidating the data means that trusted and relevant information that has been pulled together can be handed back to the people, processes, and applications that need it, so that everyone handling this data is working with the same information. Finally, by proactively guiding the way data is managed and used, businesses can ensure that data remains compliant, mitigate risks and increase growth opportunities. Without a clear and comprehensive view over its data, no company can remain compliant and relevant. Data-driven insight is set as the single biggest differentiator for businesses across a huge number of industries. Whether an organisation is looking to attract new prospects, service its existing customers or protect its assets, a powerful data management strategy is now essential. Businesses simply cannot afford not to be able to locate, track and analyse all their relevant and sensitive data. Technological innovation in business continues to accelerate at an incredible rate. Companies used pen and paper for centuries; in the past two decades we’ve gone from desk phones and fax machines to tablets, cloud and the data flood of the IoT. There is a pressing need to stay ahead of the curve, constantly learning from customers, resolving bad experiences and improving service speeds. If they are to maintain their agility and keep up, businesses must take control of their data now - or risk fading into obscurity.